Order’s up! Turn your kitchen into a breakfast cafe—and make personalized pancakes for everyone at the table. This recipe is almost as easy to make as the store-bought pancake mix, but it’s better for you and more fun to mix up. Try making letters, numbers, or shapes. 2. In a small bowl, whisk the eggs, milk, and melted butter. 3. Pour the egg mixture over the flour mixture and stir until mixed. 4. A grown-up can help heat a griddle or frying pan over medium-high. Melt a small pat of butter in the pan. 5. 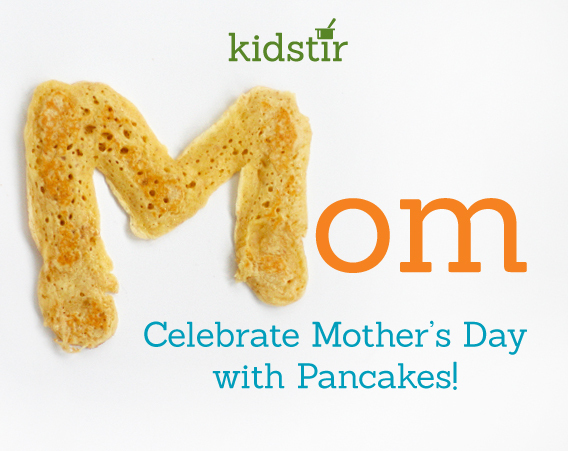 Pour the batter into fun shapes or letters. Draw them by drizzling batter on the griddle with a spoon. Or put the batter into a plastic bag, snip off a corner, and squeeze out the letters and shapes. Cook the pancakes until you see small bubbles. Then flip and cook the second side. 6. Serve with maple syrup!